Currently in our 5th year of offering the NCCC, we have never done any fundraising. Our Volunteer Lead Team…who work with the choir to help us maximize our impact in serving children in our community and beyond…have helped launch a fundraising campaign to acquire some much needed things for the choir when we perform. Our first goal is to purchase quality CHOIR MICROPHONES. Most venues do not have mics capable of capturing the awesome sound a choir creates, so we need to bring our own. Our second goal is to purchase our own CHOIR RISERS. The current risers we use are on temporary loan, so we need our own soon. Any additional funds will be used to sponsor Choir T-Shirts and possibly look at covering travel costs to future gigs. If you would like to make a contribution, please contact Andy @ 760-237-8212. Checks can be made payable to: Coastal Music, or you can donate online…CLICK HERE TO DONATE ONLINE. 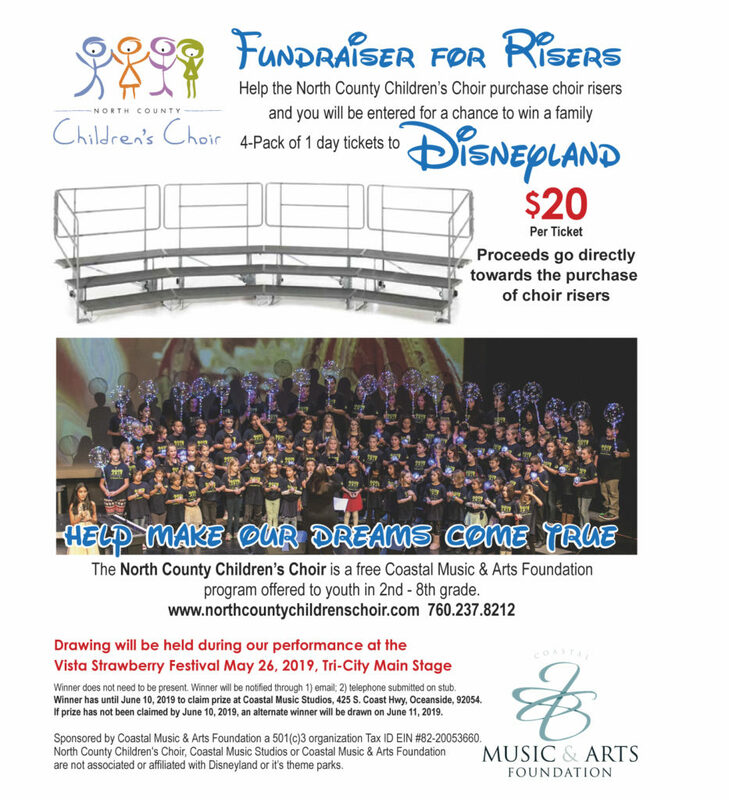 Thank you so much for your support of the North County Children’s Choir.